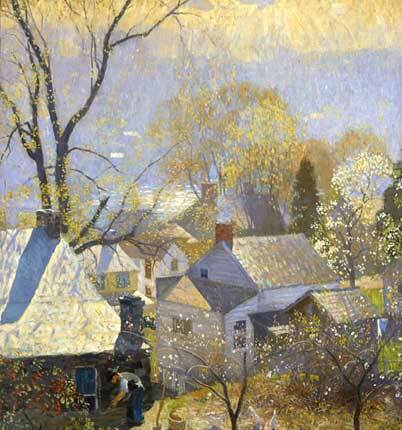 Daniel Garber was one of the most important painters of New Hope's second generation. Born of Old German Baptist farming stock in Indiana, Garber moved east as a teenager to pursue his dream career as an artist. After studying at the Pennsylvania Academy of the Fine Arts and in Europe, Garber settled down to painting in his home, Cuttalossa, in Lumberville. 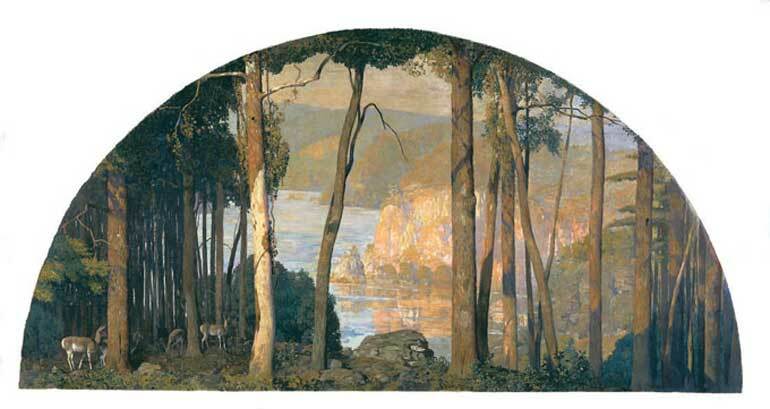 Garber's style combines realism and fantasy, precise draftsmanship and decorative technique, emblazoning all in vibrant, shimmering colors. 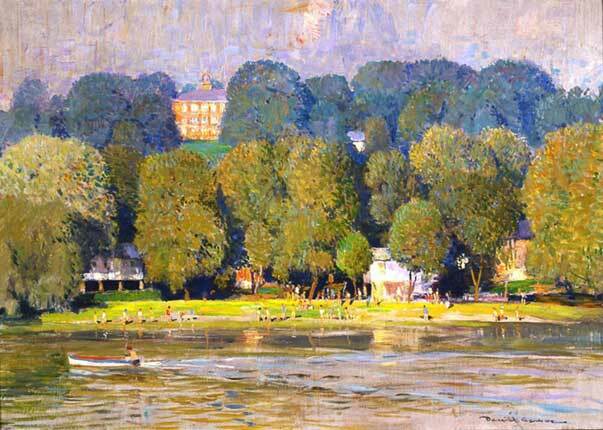 A landscape artist, Garber was best known for his paintings of Bucks County woods and quarries. 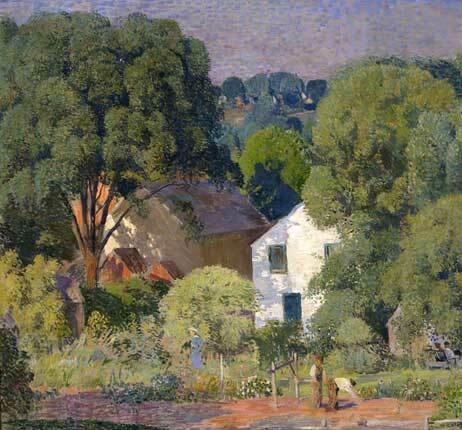 To a greater extent than many of his New Hope colleagues, Garber also achieved recognition as a figure painter. 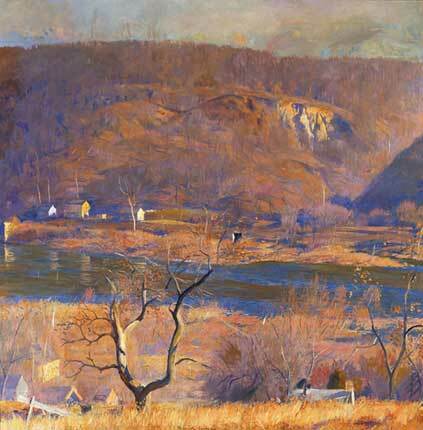 A leading instructor at the Pennsylvania Academy of the Fine Arts for over forty years, Garber influenced younger generations of painters, as well.